Happy Star Wars Day! May the 4th be with you! In celebration of this momentous day, I have a pretty awesome-sauce Star Wars craft to share with all of you today. 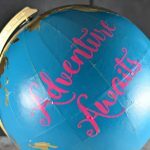 Over the past couple years, I’ve done a couple upcycled globe projects – first I had my “Journey begins” one, and then most recently “adventure awaits“. My mom is a big thrift store shopper and always keeps an eye out for globes. 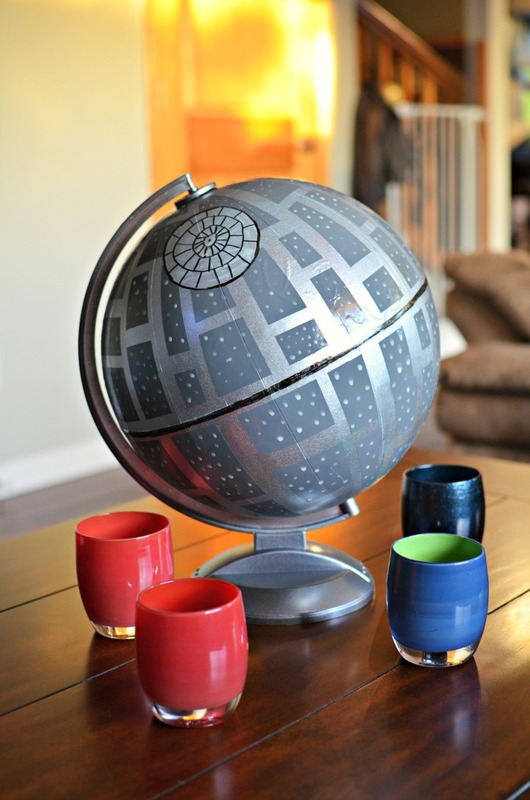 I had this globe in my garage and it was the perfect item to turn into a Death Star! At first, I was thinking that I needed a globe without geographical features; however, once it is finished, the mountain ranges don’t really get in the way of the project. The first step is to take apart the globe and spray paint the first coat. I used a metallic silver spray paint for the base coat. It took two coats to really cover the globe features. Once it was dry, I used washi tape to create the polygons and circle for the Superlaser. 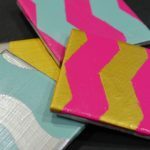 I liked washi tape because I had a couple different widths and it was perfect for overlapping to create these polygons. Once everything was taped off, I used a dark gray spray paint to go over the globe again. Only one coat was needed for the dark gray. After it tried I peeled off the tape and had an almost operational Death Star. The final steps were to draw in the Superlaser (which I need to work on my freehand drawing a bit) and then a black line around the center. I also thought to add some glow in the dark dots so that it would would cool at night as well. I do wish I had tested the glow in the dark paint first because I thought it was going to dry clear and could use a bit more glow at night. Overall, I love how this upcycled globe turned out. 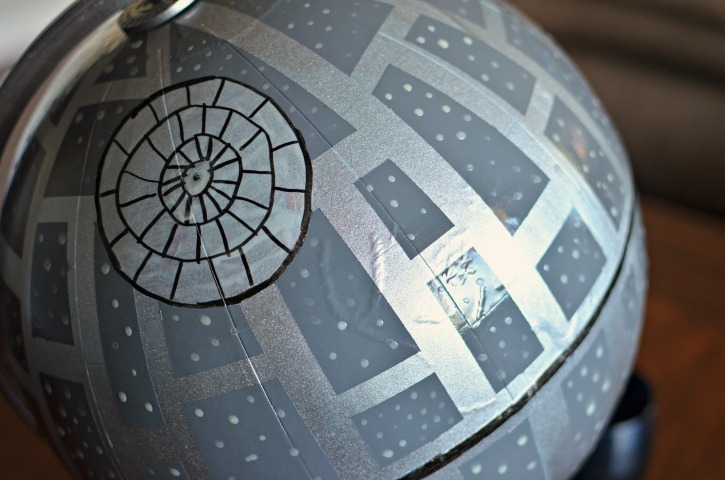 It became the perfect Death Star and a fun way to celebrate Star Wars Day. 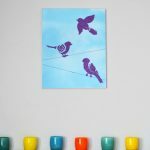 It makes a fun centerpiece to our living room coffee table and is definitely a conversation piece. Are you commemorating Star Wars Day today or have a Star Wars lover in the home? Let me know where you would put your Death Star. 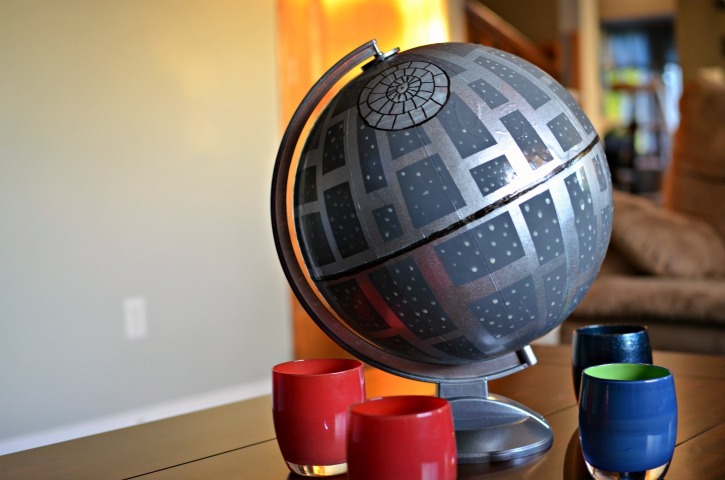 This is the best globe makeover ever! My kids (and husband) would go nuts for one of these. Thanks for the awesome tutorial! My son would love this! Thanks so much for sharing! Great upcycle! Your Death Star turned out really cool. Wow my son would go crazy for this. Such a fantastic project! What a cleaver idea for a Star Wars fan. I love it and thank you for sharing at Dishing it and Digging it link party. So fab! 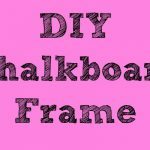 Love the unique idea and so glad you shared it! !